We’re welcoming Kaylnne to our team for our 2019 wedding season - welcome, Kalynne! Check out these facts about Kalynne so you can get to know another member of the Trace Events team for 2019. What interests you about event planning? I love seeing the final product of an event and the smiles on the clients’ faces. What are you most excited to learn? I am very logistic focused in my day job, but I have an eye for design so I am interested to learn all the tips and tricks from Tracy and Brittany! 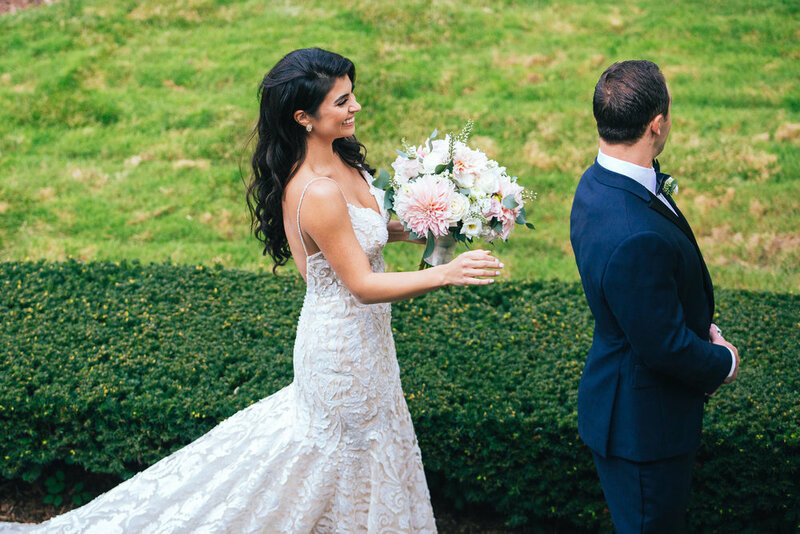 What’s your favorite wedding trend right now? My favorite trend right now is the idea of bringing the outdoors in with lots of tailored greenery and using it to replace the use of flowers in centerpieces. What trip are you dying to take? I have been dying to go to the Outer Banks in North Carolina. (I love the Carolina's, especially in the summer time. I love the heat!) Internationally, Santorini, Greece is #1 on my list. What music do you listen to in the car? I like all genres of music, but if you’re in my car, it's all country! What advice do you have for engaged couples? Stay calm and smile through it. After all, it's going to be the best day of your life! What’s a random fact about you? When I was in 4th grade I fell out of a tree and broke my hip like an 80-year old woman and I still have a gnarly scar from it. Hope you enjoyed getting to know a bit more about Kalynne. We’re super excited to welcome her to the squad for this season! Can I just gush about how much I loved this wedding for a minute? What made it so special was any number of things - the amazing private ceremony for 20 of their closest family members, the unique reception barn on a private property, the bride’s stunning lace long sleeve dress…I could go on and on. 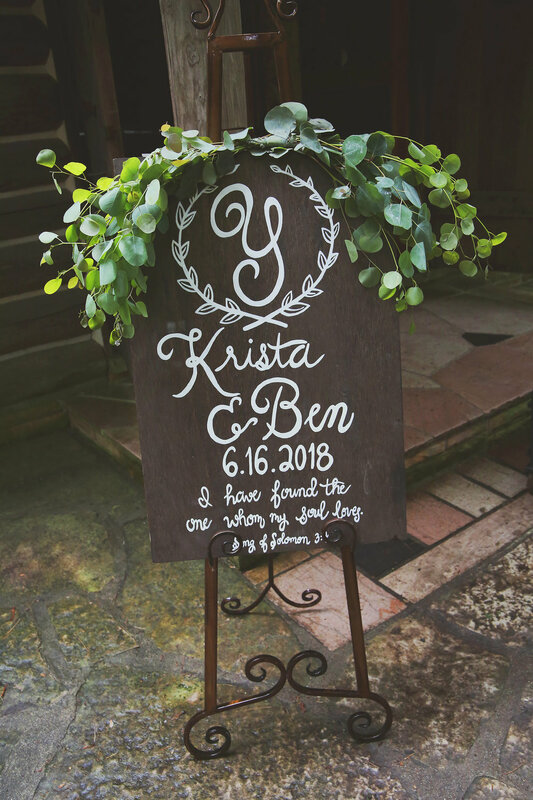 But, what really made Krista and Ben’s wedding day special was that they incorporated themselves into their special day. They knew they wanted to celebrate outdoors because they LOVE being outside and enjoying nature. They also knew they wanted unique details like a vintage vehicle displaying their guest list and guest book (a polaroid photo booth). It was such a beautiful day! Krista and Ben said their vows at Hartwick Pines State Park in Grayling, Michigan. This intimate ceremony space, shown in the photo on the right in the top row below, holds 20 guests and has no electricity. The ceremony was illuminated only by the sun streaming through the cross shaped windows. It was intimate, heartfelt and beautiful. The couple was greeted to their closest family and friends who waited outside for them with bubbles to announce their marriage! It was such a cute moment. The reception was held at a private residence in Clare, Michigan (my hometown!). The reception spilled from inside the barn out onto the property where there were lawn games, a bonfire, a full bar (located in the chicken coop) and a buffet line (held under the awning where the tractor and equipment is stored). The night was perfect and plenty of guests spilled out onto the lawn dancing, enjoying the summer breeze and chatting with their friends. Congratulations, Krista and Ben! We wish you a lifetime of love, laughter and wide open spaces. 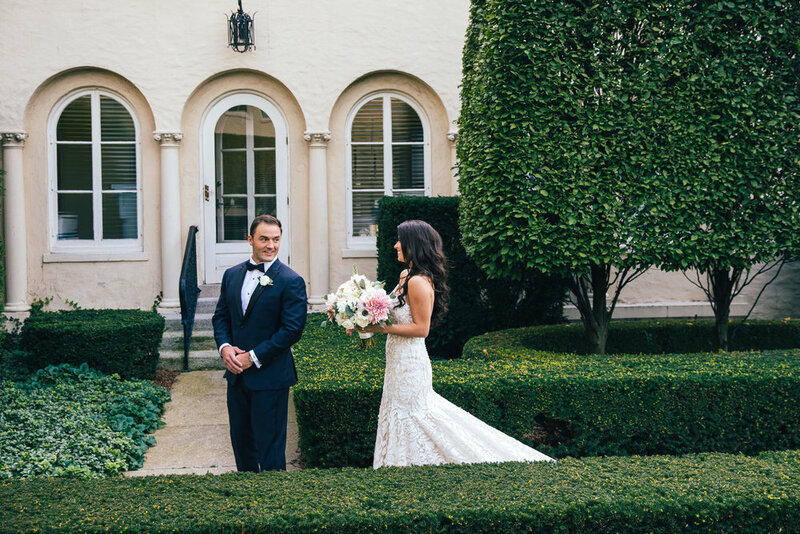 Today we are recapping Emily and Chuck's April 29th wedding at the Grosse Pointe Yacht Club. There is seriously nothing better than getting wedding photos back from a recent event. I swear it's like waking up on Christmas morning with a puppy under the tree. Doesn't get any better than that! All parts of this wedding reflected the bride's vision: simple, modern and elegant. The ceremony was so moving and it was incredible to hear Emily and Chuck read their vows to one another with tears coming down their faces while holding hands with one another. I really don't think there was a dry eye in the church - it was a beautiful moment! The reception was a blast from start to finish. The couple chose the band Huckleberry Groove for the reception and we are so glad they did. The band was super easy to work with and had the crowd dancing from beginning to end. Emily and Chuck have a wonderful support system in their family and close friends that showed through during the toasts which were the perfect combination of nostalgia, humor and personalized touches. We assisted Emily and Chuck as their day of coordinator for this spectacular occasion. It was such a pleasure being a part of this couple's special occasion and getting to execute Emily's vision for the day. We can't wait to see what the future holds for both of these amazing people. *Originally posted on the A Trace of Elegance blog on June 27, 2017. This wedding was featured on Cake and Lace! We assisted Vannessa and Patrick with wedding planning from afar, since they’re both from Michigan but currently live in Texas. During my initial phone consultation with Vannessa I could feel her warmth, excitement and kindness immediately. They were both an absolute joy to work with and we fell in love with their families. You could truly feel the love and the tight knit family values from both sides throughout their wedding day. Today I’m sharing all of the details that made Vannessa & Patrick’s day so special. These photos were captured by the wonderful Rosy and Shaun Wedding Photography. 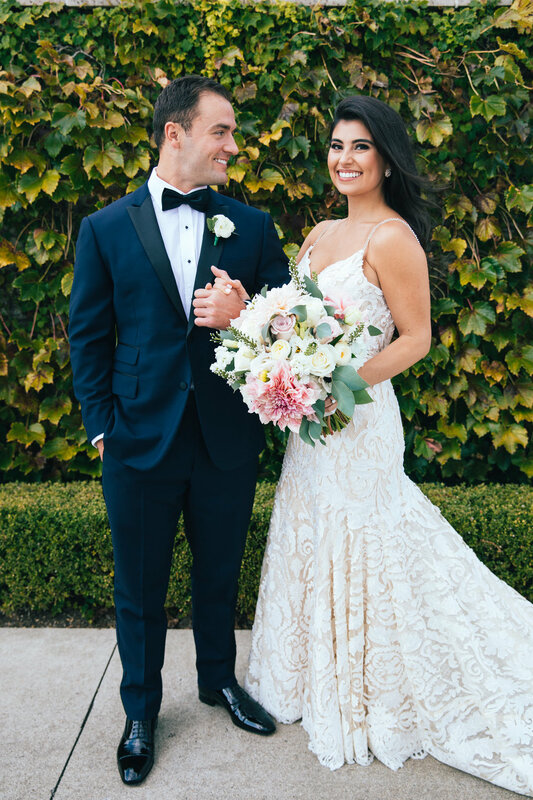 Congratulations, Vannessa and Patrick! We know your marriage will be full of warmth, excitement and plenty of laughter and smiles. *Originally posted on the A Trace of Elegance blog on January 21, 2019. Today we are recapping Heather and Phil's September wedding at The MillCreek Wilde in Watervliet, Michigan. 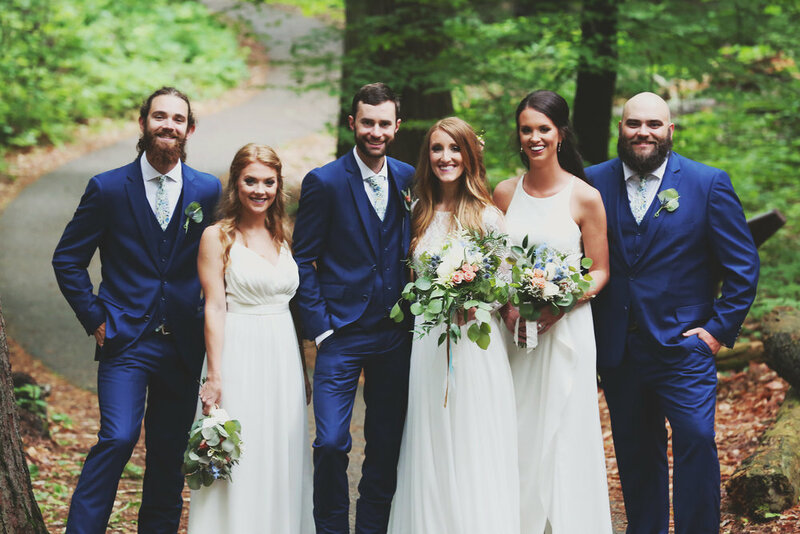 This wedding was also featured on Hey Wedding Lady in July of 2018! We are so excited to share photos from this wedding because it was such a fantastic wedding and we were so happy to be a part of it. All parts of this wedding reflected the bride's unique, rustic and DIY vision. We were totally on board from our first consultation. A crowd pleaser was the AMAZING dessert bar that Heather and Phil had. Talk about a sugar coma! I mean, just take a look through the gallery below to get a load of all of these desserts! Definitely redefined #weddinggoals. Check out these gorgeous detail shots (below) that Beth Joy Photography took. So stunning! We will always remember this wedding because of the unique venue, the amazingly thought out details and the pure joy that was evident between Heather and Phil on their wedding day. You could tell how much of the design skills shared between the Bride and Groom were put to use. They are both extremely creative (Heather is a Graphic Designer) and handy (Phil built the side tables and crates used at the wedding)! These added touches just increased the customized, unique setting for their ceremony and reception and made it even more special. Plus, the couple had a super fun and unique send off with glow sticks that was so fun to be a part of! See below for more shots from the incredible husband and wife team at Beth Joy Photography. WE LOVE THEM! *Originally posted on the A Trace of Elegance blog on December 5, 2017. We respect your privacy and will never spam you!